President Donald Trump’s legal team is gearing up to battle a subpoena, which has yet to be issued, from the special counsel Robert Mueller. That fight could go all the way to the Supreme Court. In a brief text-message exchange with Business Insider, the president’s lawyer Rudy Giuliani described what the Trump team’s argument would be. President Donald Trump’s legal team is gearing up to battle a subpoena from the special counsel Robert Mueller all the way to the Supreme Court. And in a brief text message exchange with Business Insider, Trump’s lead personal attorney, Rudy Giuliani, explained how the president’s team would argue that such a subpoena would be unconstitutional. As The Washington Post reported Wednesday night, Trump’s lawyers are preparing to oppose a subpoena from Mueller, which if served would compel the president to sit down with the special counsel for an interview. The president’s legal team is drafting a rebuttal to such a subpoena that could set off a sensational battle in the federal court system. In his exchange with Business Insider, Giuliani said Trump team’s would cite Article II of the Constitution – which established the executive branch and its powers – and a 2000 memo authored by the Justice Department’s Office of Legal Counsel following President Bill Clinton’s affair with Monica Lewinsky. This argued that the Constitution does not give the president immunity from prosecution but also that a sitting president cannot be indicted. “We are talking about a protection not for records but as against a personal appearance,” Giuliani said. “It has never been carried to conclusion and therefore the Supreme Court has no decision on point. We think there is a good chance the [Supreme] Court would recognise at least a qualified privilege and then [Mueller’s team] would have to show need” for the sit-down with Trump. The independent counsel Ken Starr served Clinton with a subpoena to get him to appear before a grand jury, but it was withdrawn once Clinton agreed to testify. Because of that, the Supreme Court, as Giuliani noted, has not had to make a ruling on a similar matter involving presidential testimony. Earlier this summer, Giuliani told Business Insider the Trump team believed that since the special counsel is governed by the Justice Department, Mueller does not have the power to subpoena the president. “Because they only have the authority given to them by the Justice Department, and the Justice Department has withheld the authority to indict the president or subpoena the president,” Giuliani said. A battle over whether Trump will receive a subpoena comes as the two sides continue their lengthy back-and-forth over the conditions for an interview of Trump by Mueller, who is tasked with investigating Russian interference in the 2016 election and is also looking into whether the president sought to obstruct justice regarding the investigation. Giuliani told The Post that he’s still waiting for Mueller’s response to the Trump team’s latest terms for such an interview, which the team made last week in a letter arguing against the president having to answer any questions related to obstruction of justice. Four people familiar with the encounter told The Post that Mueller let Trump’s lawyers know in March that he may issue a subpoena for Trump to appear before a grand jury if the president declined to be interviewed. Trump has publicly expressed openness to such an interview, but his lawyers have long cautioned him against doing so, saying that Mueller may be trying to lure the president into a perjury trap. A subpoena may spark a court battle that could last months. “Even if we responded in 10 days to a subpoena, it would have to be decided by a district court judge, and you could appeal it in a circuit court, and then you argue it before the Supreme Court, if it ever got there,” Giuliani told The Post. 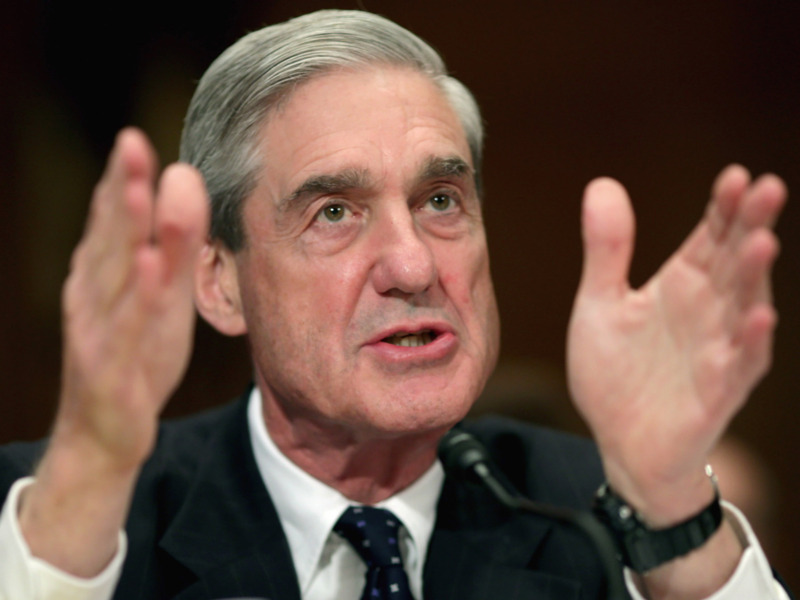 A representative for the special counsel declined comment to Business Insider.